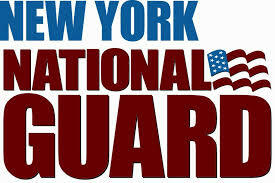 LATHAM, NY (04/15/2019)– Major General Ray Shields, the Adjutant General, announces the recent reenlistment of members of the State National Guard in recognition of their continuing commitment to serve community, state and nation as part of the Army National Guard. Sergeant First Class Kenneth Kiernan from Salt Point, N.Y. reenlisted to continue service with the Headquarters and Support Company, 42nd Infantry Division. “By choosing to stay in the Army National Guard they directly contribute to our nation’s security and to the governor’s ability to respond to disasters, all while building a bright future for their family through the Guard’s retirement, education, and health insurance programs,” Shields said.